To kick-off VidCon yesterday, industry leaders discussed the strong foundation that YouTube is currently building for the future of entertainment. DreamWorks’ Jeffrey Katzenberg discussed the acquisition of multichannel network AwesomenessTV in addition to the YouTube Nation venture. Maker Studios CEO Ynon Kreiz unveiled upgrades to the Maker Gen platform for creators. And Fullscreen’s George Strompolos announced a $10 million investment toward original programming. Jeffrey Katzenberg touted his studio’s acquisition of YouTube multichannel network AwesomenessTV, which now has 50 million subscribers. “He also touted another venture, YouTube channel YouTube Nation, a daily guide to the hottest programming on YouTube, which has racked up 1.6 million subs and 25 million views in four months,” according to Variety. Maker’s Ynon Kreiz “announced Maker Gen, an upgrade of the technology platform that can be utilized by a stable of creators that now exceeds 55,000,” reports Variety. The platform offers a range of resources including brand partnerships, tech support, talent collaboration and creator forums. “Instead of just targeting Maker’s millennial-heavy audience with promotions for Disney content, the company’s creators will be able to utilize the availability of classic characters hailing from Marvel to Lucasfilm,” notes Variety. Meanwhile, Fullscreen CEO George Strompolos, a former YouTube employee, announced that his MCN is committing $10 million in original programming for creators’ passion projects. “We look forward to bringing the best work to you from the best creators of our generation,” he told the crowd in Anaheim. 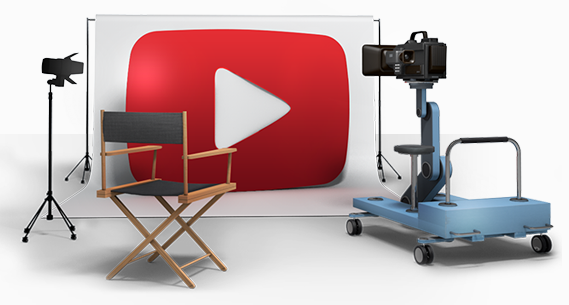 The MCN works with YouTube stars such as Grace Helbig, Shane Dawson and the Fine Brothers. The 5th annual VidCon event runs through Saturday at the Anaheim Convention Center.